President Muhammadu Buhari wil today meet with parents of the 110 schoolgirls abducted by Boko Haram on February 19 in Dapchi, Yobe State. They will be among the stakeholders at the parley in the Yobe State Government House in Damaturu during a one-day presidential visit. Buhari has visited Taraba, Plateau and Benue states, where killings by herdsmen took place. He is also due to visit Niger State tomorrow. Yobe government officials said yesterday that the President is not likely to visit Dapchi, unless there is a last-minute change in plans. Some of the parents confirmed to our source yesterday that they had been invited to the Government House in Damaturu for the meeting. “For us the parents of the missing girls, Our message to him is very clear; he should ensure that our daughters return safe and on time to us,” one of the parents said. 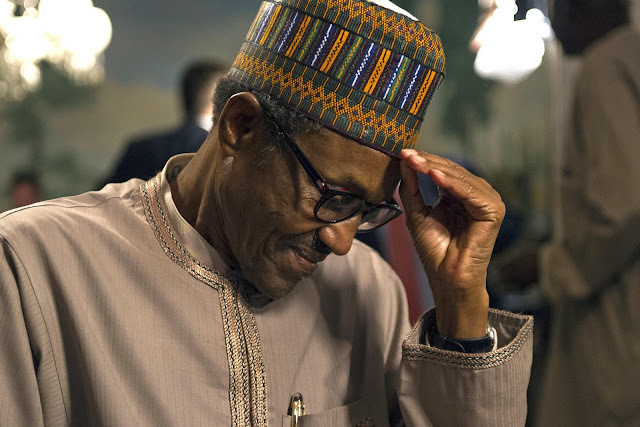 President Buhari on Monday told outgoing United State Secretary of State Rex Tillerson, that he preferred to negotiate the release of the girls rather than a military option. The chairman of the Forum of Dapchi Abducted School Girls Parents, Bashir Manzo, said yesterday. He also urged the president to work fast in trying to rescue their daughters and reunite them with their parents. There was heavy security in Damaturu yesterday ahead of the visit. A detachment of security personnel including army, police and Civil Defence Corps were deployed in strategic locations. The August 27 Stadium where the president is expected to land from an Air force helicopter enroute Maiduguri International Airport had been taken over by security with Armored Carriers mounted at the front of the stadium. Some of the parents spoke on their expectations in separate interviews with the News Agency of Nigeria (NAN) in Damaturu. Manzo the chairman said to negotiate the release is “a welcome development and we are happy about it. Alhaji Baba Shehu, Secretary Dapchi Youth Development Association, also described the negotiation option as a healthy development. “Government should deploy resources at its disposal to take this advantage and ensure safe return of the girls” he said. Alhaji Ali Mohammed, a father of eight of the students, described negotiation as the only safe option for the insurgents to release the girls, saying he was happy “government had considered this option of negotiation”. Maryam Alkali, a mother, said every mother would appreciate the option that will bring the girls back home safely. “Let me state without fear of contradiction that every mother of the abducted girls will now have a strong hope for reunion with these girls” she said.